Our Managed Wordpress Hosting in Singapore is aimed at improving both speed and security of your Wordpress website. Unlike traditional web hosting services, our Managed Wordpress Hosting guarantees the resources your Wordpress website gets hence no more "noisy neighbours" sharing and causing trouble to your Wordpress! Let's make your Wordpress FLY with us! 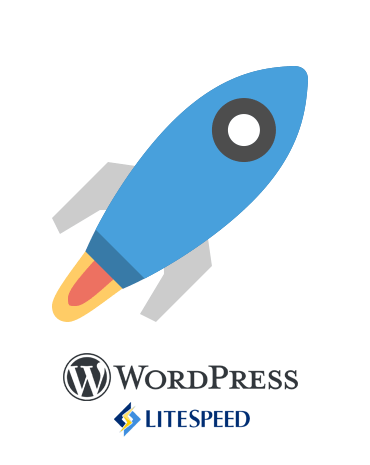 We use LiteSpeed Cache Technology on our Wordpress hosting platform. The objective? To accelerate your Wordpress website using probably the fastest Webserver on earth for Wordpress! Every Managed Wordpress Hosting plan comes with 100 Mbps Unmetered Bandwidth, which is more than enough for any occasional flash sales or promotional offer your business needs! There is also fair use policy to protect you from network abusers! Enjoy the peace of mind with our latest Intel Xeon processor, high-speed RAM and high performance Enterprise Solid State Drives (SSD) server hardware. Our highly experienced support engineers are standing by 24x7. Let us help you sort out the problems you face with your Wordpress website! Need help moving in to SecureAX? Keen to make your Wordpress FLY with us but not sure how to start? Don't worry, we will be happy to help you!. Let us migrate your Wordpress over for FREE! How is your Managed Wordpress Hosting better than my current hosting service? No, as this is a Managed Hosting service, all the server administrative tasks are fully taken care of by SecureAX. Any issues upon discovery, should be reported to us so that we can rectify it for free for you! Do I get control panel access to my account? Where is the server hosted at? The server will be hosted at either Changi or Jurong East in Singapore. These are all world-class datacenter with multihomed bandwidth and multiple network peering. How long does it take before my Wordpress Hosting service is ready? We endeavour to handover the hosting account to you within the SAME business day. Is there backup done to my Wordpress website? Why SecureAX Singapore Managed Wordpress Hosting?